How to make a common product more attractive and acceptable to most users?it's never a difficulty to our Chinese factories. 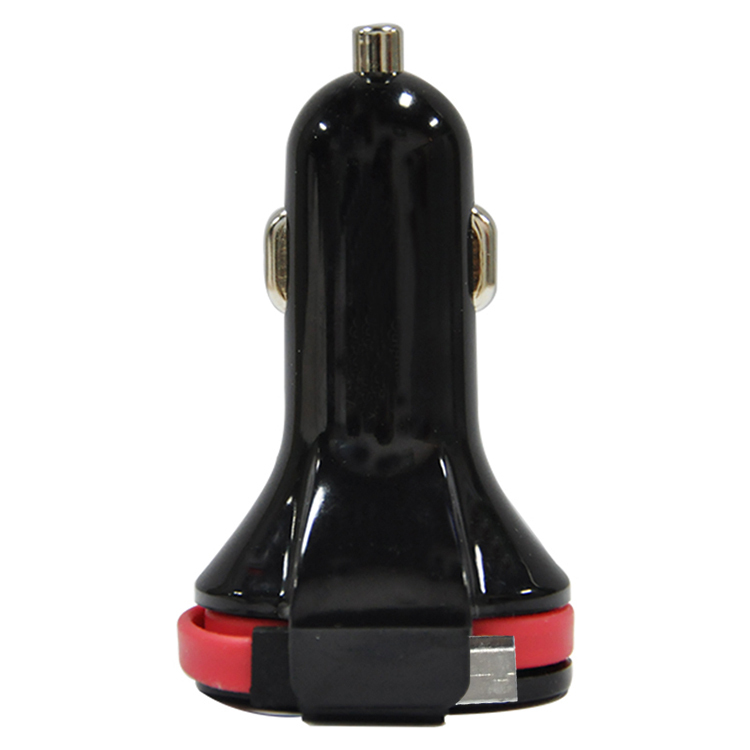 Our enginnners made great changes on a very common UBS car charger, check the photo below. 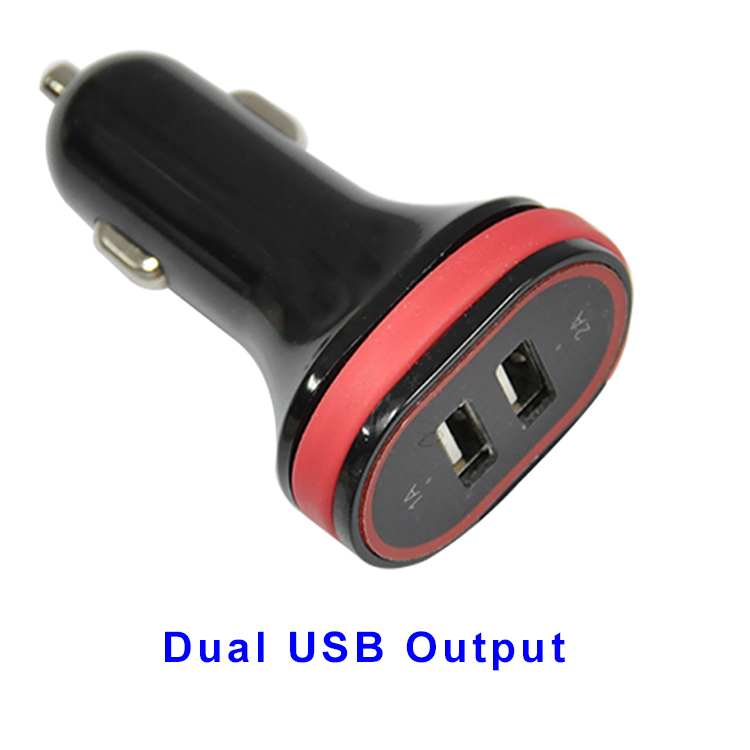 There're still 2 USB port on the bottom(the ouput: one 2A and another one 1A), it seems no big changes, you may say "it's still just a common car charger with dual USB", wait, please read on. The change is here, turn over it, you can see a Micro USB charging connector was stocked on the side of the bottom in the car charger, actually, it's a hidden "noodle" charging cable and coiled around the car charger bottom, moreover, you can customize the connector like: USB type C, lightning, Mini USB or any other USB type, it means this car charger is able to charge 3 devices at the same time, great! 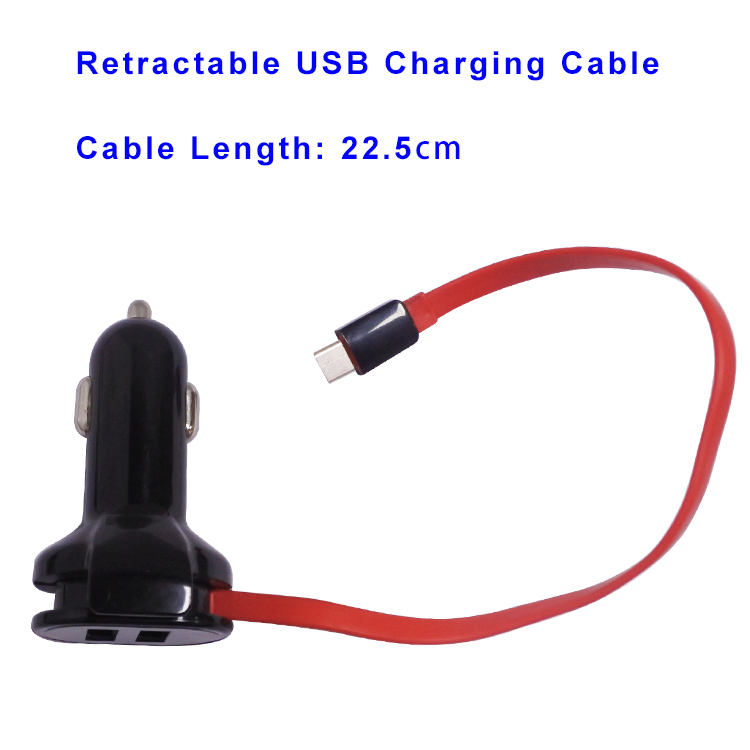 When you release the cable, the total noodle cable length already reached 22.5cm( with a more slim cable, the cable can be even longer), when you charge your phone with the cable only, the Max output can reach 5V-3A. If you have 2 pcs extra USB cable, and charge 3 devices at the same time, each port output(include the noodle cable) will be 5V 1A. Imagine that when you driving on the way for a long journey with only a USB car charger in the socket, but forgot the USB cable by mistake, how to charge your phone/camera? 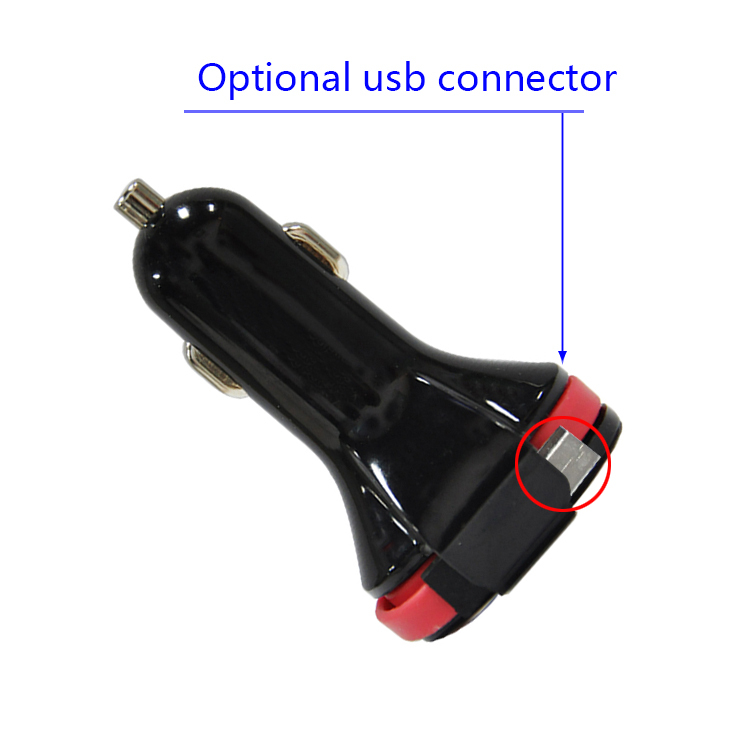 you may be crazy,our unique USB car charger will solve your trouble. Any customer who have interest in this product, don't hesitate to contact Tom for further assistance.